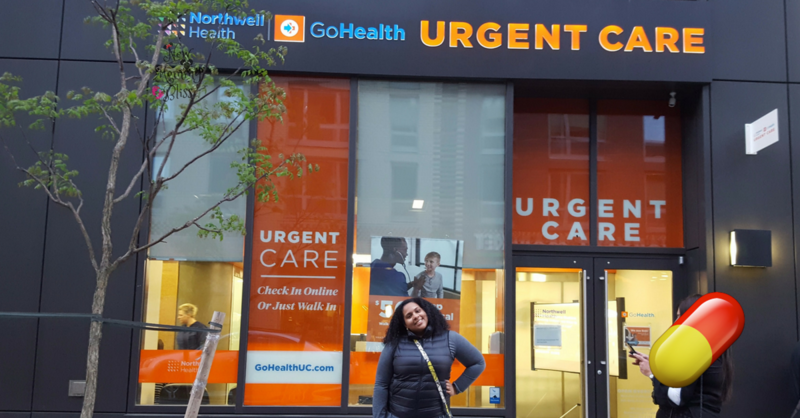 We were invited to check out the new Northwell Health - GoHealth Urgent Care center in Williamsburg, Brooklyn. If you don't know, an urgent care center can be a good option for non-emergencies at night and on weekends when your regular doctor may not be in the office. At these centers, you can usually get things like X-rays, stitches, and care for minor injuries that aren't life threatening yet require medical attention on the same day. Most people usually just go to the Emergency Department when these things happen, but did you know that a visit to the Emergency Department (ED) can expose you or your already sick or hurt child to the hospital germs present there and other infections carried by fellow ED visitors? And because emergency departments are, by definition, designed to care for the sickest patients first, those with less severe illnesses are bound to have longer wait times. No One wants to wait when there's an easy solution. As a general rule, If your child is able to walk, talk, interact and play, chances are whatever she or he has is not a life-threatening emergency. Other situations may seem alarming, but don't require a trip to the ED. We've had situations where my kid has twisted her ankle a bit and cried. I quickly soothed it, wrapped it, and she was back to laughing and playing. In that situation we did NOT require an ED visit which would've actually annoyed Gabby because she'd have to wait forever to finally just get a room and be told that the "doctor will be right in". At GoHealth Urgent Care centers, you'll find Providers (MD/DO or PA/NP), Rapid on site testing for Strep, Flu , Mono, or Urine, Wound glue, suturing capability, IV fluids, Onsite x-rays, Blood testing, Oral medications, Care supported by on-call MD at all hours of operation, Prompt referrals to Northwell affiliated hospitals, ED’s and specialists. Another great thing about the Northwell Health - GoHealth Urgent Care Centers is that they offer *$50 Camp Physicals. Perfect for the upcoming Camp season! *NOTE: These are valid in Manhattan and Brooklyn only. For more information and locations head to Northwell Health-GoHealth Urgent Care. Have you ever visited a Northwell Health-GoHealth Urgent Care Center Before? That is so great! If more people went to clinics like this, ERs wouldn't be so crowded and crazy. Thanks for sharing this. 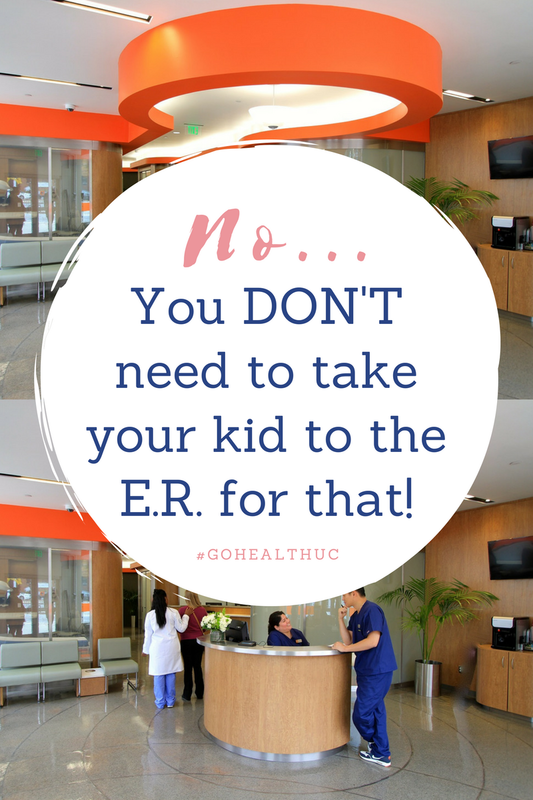 It's so important to take your kids - or yourself, for that matter - to a clinic and not the ER if you don't really need it. That's how everything gets so crowded and annoying. We hardly ever visit the emergency room because of all these illnesses that are in the air there. We love visiting our local Urgent Care and they are more willing to help! Such a great list. Urgent Care is definitely the best way to go if you want quick care without a long wait at the emergency room. It's always best to free up the emergency room for those with true emergencies. I've been to an Urgent Care in my area and it was so much faster than going to the ER. It was also less expensive to go to the Urgent Care. This is some awesome information! With a $450 copay at stake, we always try and rely on urgent care rather than the emergency room. Very good advice! You never know when an ER is going to have long wait! My mother seems to think the ER is a regular doctors office lol I am always telling her to wait and go to Minor Med the next day instead. I am sending her your link! Granted it is about kids but maybe she will learn something here. We have a great clinic here that we can go to for all non emergencies. It really helps to keep the wait times down at our local hospital. I wish we also had an Urgent Care department here in my country to free up the ER for real emergency situations. I usually bring my kids to small clinics for non emergency issues. This is really a great information! I am glad to know bout this topic. This is very helpful! I have never visited this place before. I think Urgent Care is so much better than the ER :( Less expensive! Well, this makes things easier. We worry too much sometimes and that leads to panic and parents taking their kids to the ER even when it's not needed. It's good to have a center like this. 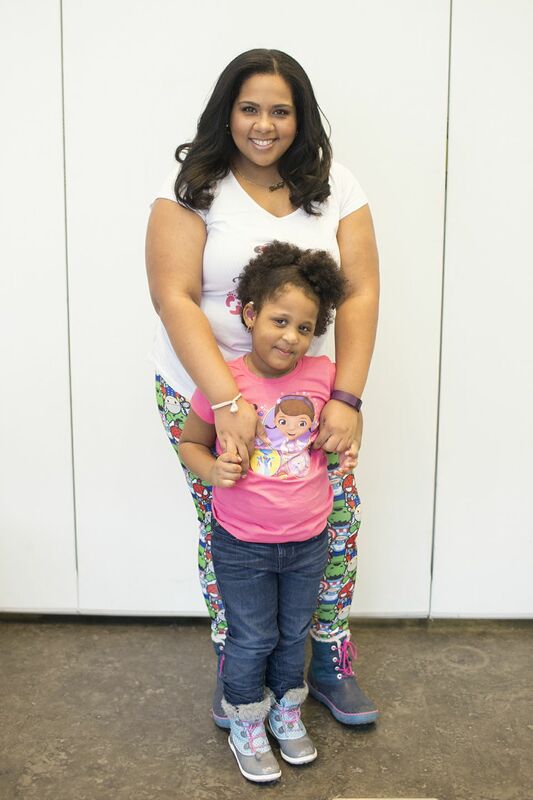 It's so good to know that you have a place to take your child to when you think you need a little help. It doesn't always have to end up in the ER and Urgent Care is perfect for that. Growing up, you always went to the ER in an emergency or when the doctor's office was closed. I'm so glad they have Urgent Care Centers! I typically try to use our drs office first. But it never fails that something happens after hours. I try to use urgent care if it is can't wait until the next morning. I try to avoid the ER at all costs. It is expensive. This is a great list. Urgent care is good if you are looking for quick care and not having to wait. Being as I am in Canada, I am still a little in the dark about health care in the US. One time our son got sick and a friend of ours actually advised us to go to Urgent Care instead of ER because it's more cheaper not to mention, way faster.